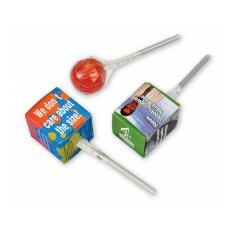 Customised Lollipops present your design in a fun way, enjoyed by all ages! 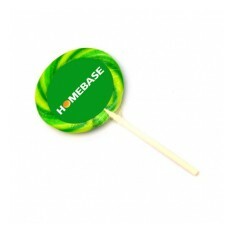 Branded lollipops are sure to be one of the most sort after give aways at any exhibition, or maybe as a treat in your shop? 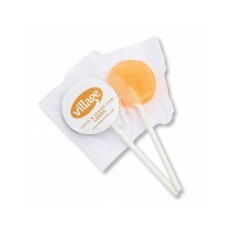 Great for handing out at events, exhibitions, gift shops or just general meetings, personalised lollipops are a sweet treat that is sure to keep your company name on the lips of all who taste them. 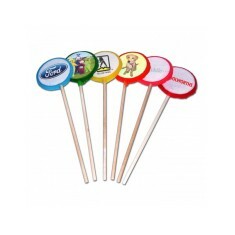 Our range includes plenty of different flavours and styles of custom printed lollipops with a variety of branding areas from actually on the sweet to printed stickers and labels. As these treats can be enjoyed by all ages and are great value for money, they are perfect for handing out to the masses. 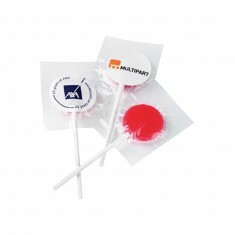 Coat your logo in sugar and pop it straight onto our promotional Large Lollypop. You can even make your own shape within 90mm if you’re looking to make a completely personal one. Made to order in the UK with plenty of flavour choices, these delicious treats will make amazing handouts for your next event. In search of a lollipop where the message will stay on more than just a moment on the lips? 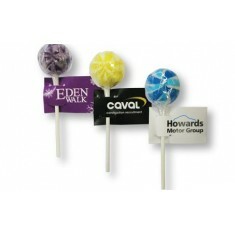 Our custom printed Small Logo Lollipop with Printed Stick does exactly what it says. 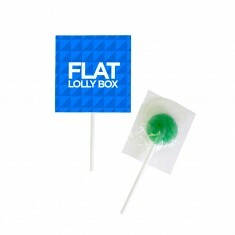 Designed with your logo moulded to the face of the stick and then a printed message down the side, your message will stay visible even when your customers are chowing down on them. 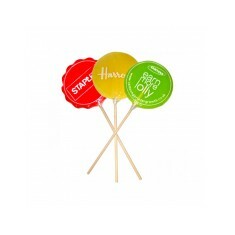 Pop your favourites into a basket to get a price for your own promotioanl lollipops today! Logo moulded to face of sweet. Text printed to stick in choice of 6 colours. 6 flavour choices. Round or heart shape. Branded to the wrapper. 6 flavour choices & various colours. Customised to entire outer wrapper. 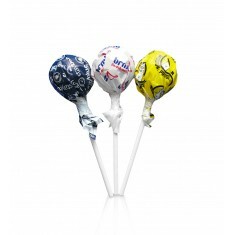 Various flavours & wrapper colours available. 4 different flavours. Branded full colour to label. UK stocked. Fast turnaround. Fruit flavours. Made with natural colours & flavours. Printed to sticker. Quick lead time. Assortment of fruit flavours. 6g. Branded to outer sides of envelope. 12 month shelf life. Flags customised in full colour. Large branding area. Various flavours available. 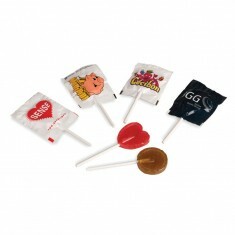 Design branded to the lollipop & colour washed with edible ink. UK made. Extra large size. Branded to entire outer sides in full colour. Assortment of fruit flavours available. Printed onto edible label in full colour. Variety of colours & flavours.